Researchers have announced that they have identified ripples in the fabric of space known as gravitational waves and it is a ground-breaking discovery which had evaded Earth’s intelligent minds as well as sensitive machines for years. It was 100 years ago, that Albert Einstein had predicted the existence of gravitational waves but he had thought them far too feeble to identify as they rolled across the universe. Radio waves had first been predicted by James Clerk Maxwell, a physicist in 1860s and then discovered by Hertz. Around 150 years thereafter, they strengthen our lives from radio to television to mobile phones and the present world would not be able to function without them. Gravitation waves though weaker than radio, can have unexpected as well as vital usage in the near future. The identification of gravitational waves is a monumental discovery and is only the first step. One of the international team of scientists who had worked on the break-through, Professor Graham Woan had informed Sky News that it was similar to Galileo looking through the telescope at night for the first time. It was not that our comprehension of the universe had been toppled as it was in the Scientific Revolution, but we have a new tool, a new technology in exploring our cosmos and now we have a gravitational telescope. The news had been announced on February 11, by members of the Laser Interferometer Gravitational-Wave Observatory – LIGO, which is a 15-nation, 900-scientists, $1 billion experiment which had searched for signs of the phenomenon since 2002. Cornell physics and astrophysics professor, Saul Teukolsky had confirmed in a statement emailed to Tech Insider that, `finally these waves have been detected on Earth with an unbelievably sensitive experiment and surprisingly the source of the waves is a system of two black holes in orbit around each other, that spiral inwards and smash together. The waves that the researchers had identified were created by two black holes colliding as well as merged, forming a single black hole, 1.3 billion years ago. When the two black holes had emerged, they seemed to release the energy of three suns. 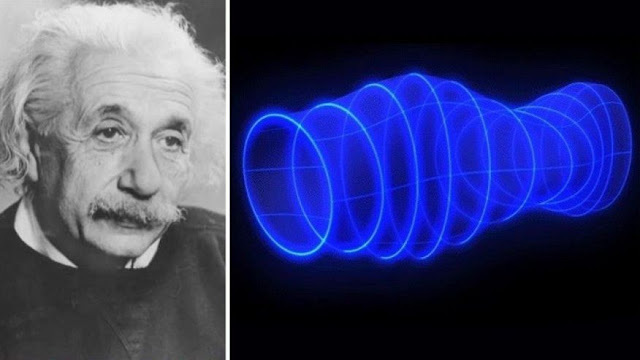 Physicist Szabi Marka, who is a LIGO collaborator based at Columbia University had informed Tech Insider prior to the announcement that identifying the waves would revolutionize physics and chart out the last undiscovered territory of Einstein and a collision of two black holes is a catastrophic event which we could only imagine of observing till now. Marka states that `having gravitational waves as a tool would allow us to study black holes, which tend to hold the key to several future puzzles in science. He further added that they don’t know actually what tends to happen around a black hole and don't know what happens when a black hole meets another black hole. They are not aware what happens when a black hole eats something. There seems to be several other usages of gravitational waves, now that all are within the realm of possibility. Marka states that the coming era of research that is barrelling towards us will be spectacular. The discovery not only justifies Einstein’s wildest prediction giving astronomers a powerful tool to probe further in the cosmos from deep within stars to the surfaces of black hole but also tends to back up a $1 billion idea informing us that we are on the right path in comprehending how the universe tend to work.